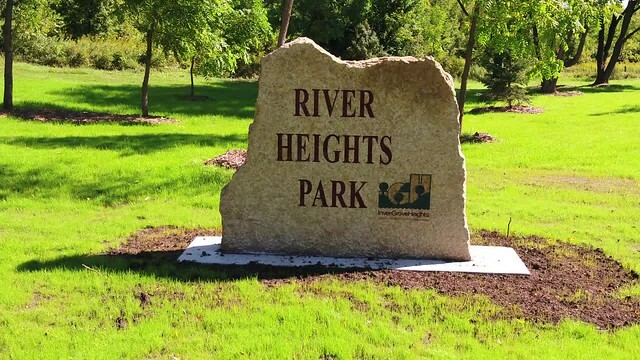 After hearing from dozens of community members (including many FMR River Guardians), the Inver Grove Heights city council unanimously voted to save River Heights Park on May 14, 2018. The river bluff park is beloved by many community members and provides much-needed wildlife habitat as part of the river corridor and Mississippi River flyway. The council had been considering carving up and selling the 7.5-acre undeveloped natural area as three 2.5-acre lots for housing developers. But now the city, FMR and neighbors are going to work together to make the park more accessible — adding a park sign, bench and more — while keeping it a natural area and restoring important bird habitat. Check out this beautiful aerial video of the bluff-top park and nearby Mississippi River by volunteer Tom Reiter. "We're deeply grateful to the community members who advocated to protect their park and for the council members and mayor who listened to them. We look forward to working with the parks department and the neighbors to restore and enhance the park's value as habitat for both wildlife and people," says Whitney Clark, FMR's executive director. In addition to providing a natural area valued by residents, River Heights is also part of our local national park — the Mississippi National River and Recreation Area — and the internationally significant Mississippi River flyway. "By speaking up for their community park, residents helped protect a national treasure and internationally significant wildlife corridor," pointed out FMR policy advocate Alicia Uzarek. Uzarek heads up the FMR River Guardians advocacy program and has been working closely with Inver Grove Heights neighbors to support their efforts since summer 2017. "Residents have shown up at not one but two park commission hearings to ask their city councilmembers to save their park in August 2017 and again this April 2018 — as well as a city council 'work study session' earlier this month and, finally, the city council meeting this week," says Uzarek. "We're excited to move from meetings about saving the park to how we can work together to enhance and restore it." This September, FMR held our first volunteer outing to kick off the restoration of park habitat. As usual, our first steps focused on removing invasive species, like buckthorn. A River Heights Park volunteer removes buckthorn to make way for native bushes, grasses and flowers important for birds in the flyway. We're happy to report that the event was a success — it quickly reached capacity and the volunteers accomplished their removal tasks in high spirits. We look forward to more volunteer outings here in 2019 and beyond! For more information, or if you'd like to hear about upcoming opportunities to help shape the future of or enhance River Heights Park, contact Alicia Uzarek at auzarek@fmr.org. Check out the city council meeting on TownSquareTV.